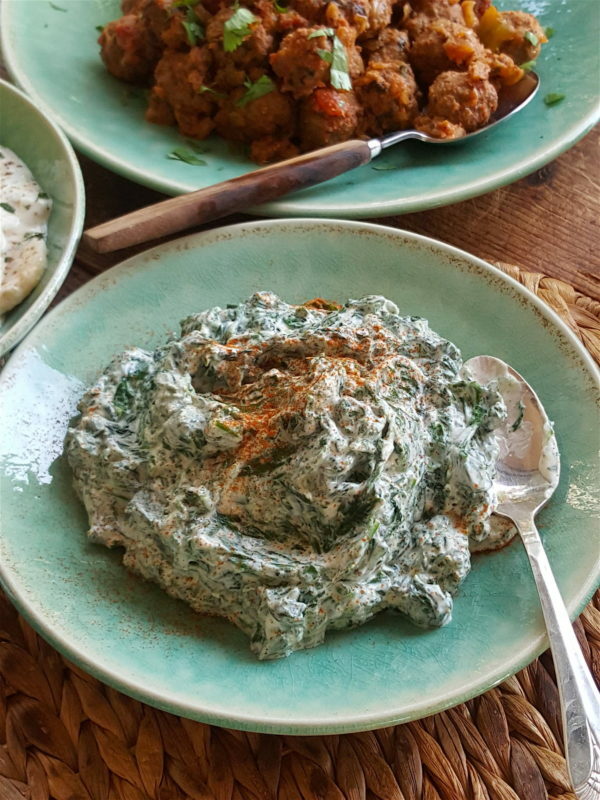 Add a few blobs of spinach raita to a plate of spicy dishes for a soothing creaminess. Mmmm. 1 Plunge spinach into a saucepan of gently boiling, salted water and cook for 2–3 minutes until wilted. Drain, refresh with plenty of cold water and drain again. Squeeze gently to remove excess water. Chop finely. 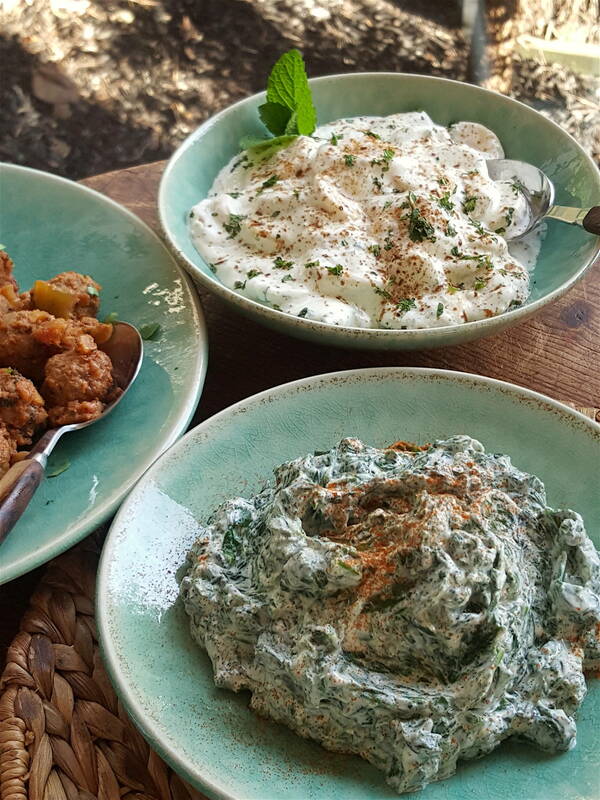 2 Whisk yoghurt – start with 1 cup and add more if you want the raiata more liquidy – and add salt, ground cumin, chilli powder and garlic clove. Mix in spinach. Cover and chill until required.